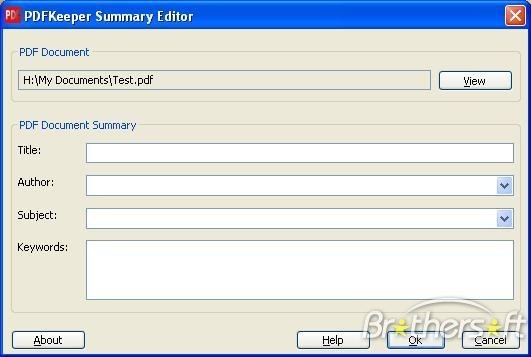 PDFKeeper is a free, open source PDF document storage system that provides storage, indexing, and retrieval using the free Oracle Database Express Edition (Oracle Database XE). PDFKeeper is perfect for anyone who wants to implement a low cost PDF document storage system in a small or home office. PDFKeeper can be implemented for use on a single user system or in a workgroup. PDFKeeper is 100% freeware. just download PDFKeeper to have a try. Please visit the Issue Tracker; and complete a new issue for each unreported defect, enhancement request, and any other support request. All submissions will be reviewed promptly. For alerts and other information, please visit the Wiki. To verify the integrity of the installer, please follow these instructions. If you're a freeware site operator and are interested in hosting PDFKeeper, please download the PAD file. For general questions or comments on PDFKeeper, please email Robert F. Frasca. Unizeto Certum for providing the code signing certificate, used to sign the installer. nResult for providing professional, software testing services. Qweas is providing links to PDFKeeper 2.6.0 as a courtesy, and makes no representations regarding PDFKeeper or any other applications or any information related thereto. Any questions, complaints or claims regarding this application PDFKeeper 2.6.0 must be directed to the appropriate software vendor. You may click the publisher link of PDFKeeper on the top of this page to get more details about the vendor.